A room full of mobsters and gangsters sits in darkness watching a video of one of DareDevil's fights with Bullseye. A man offers half a million dollars to the man in the room who can bring him proof that the devil is dead in 48 hours. One man takes on the task, that man is Mr. Slaughter. Later on that day, Matt Murdock and his law partner Foggy Nelson are a bit late for court and Matt asks for an extension on the case. The judge allows is, but acts very sketchy himself. Almost like he's being paid to keep an eye on Murdock. Outside, a bum digs through the trash but he's not just a bum, he's also keeping an eye on Matt. He ambushes the blind lawyer with some help from another thug to keep Foggy out of the way. They know he's done work with DareDevil before and tell him to make sure the horn head knows to meet them at Pier 42 at midnight to meet Mr. Slaughter in person. Matt wastes no time in leaving once the thugs make their exit. 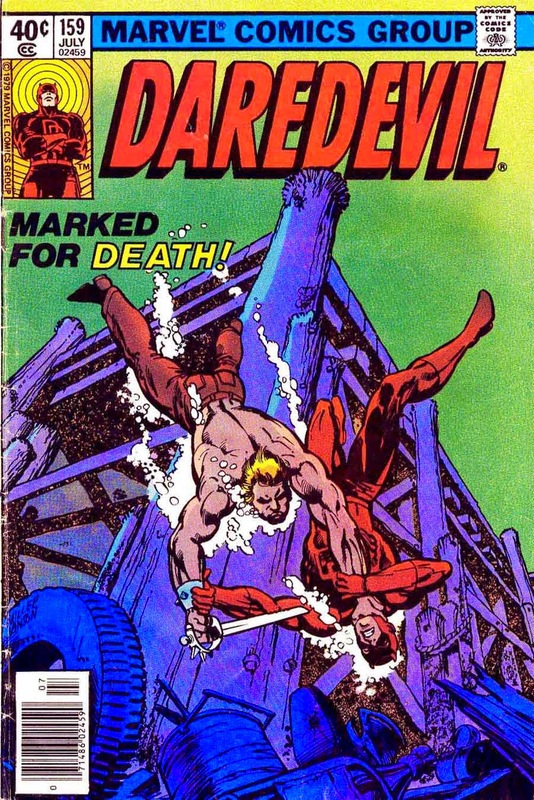 DareDevil makes his round at the pier that night and scopes out the joint. He's sure to notice every last thug there waiting for him. Its no surprise that Mr. Slaughter isn't there personally and instead sent an army of thugs. Thugs that are dealt with quickly as the blind hero makes his way through the pier taking them out one at a time. Although he's the blind one, they're the ones who can't see the things he can. Heartbeats, sounds, slight movements. He takes out every last thug until there's just one and a decoy left. That final thug manages to get a gun and fire a shot right by DareDevil's ear though. This completely changes everything, now his sense are all off. He can't get a clear, still vision on anything. Its not looking good, as he closes in on the decoy, the paid muscle pulls out a gun of his own, but Matt sees two of him. He's not sure which is the real man, which is the real gun. He could jump to dodge, and actually jump in the way of the bullet. Tension is high as the shot is fired but he perfectly moves and grabs the decoy. He's about to spill the beans on who hired Slaughter to kill him, but a man in a row boat throws a heavy life saver at the decoys neck, killing him instantly. Matt is able to see the man on the boat, pointing what seems to be a video camera at him. But for what? The mastermind is revealed to be a man defeated by the Devil before. He's using his new footage to study DareDevil's moves so he can finally bring him down. This man is none other than Bullseye himself! Stay close to find out how this story unfolds as these two rivals go at it yet again!